So it’s been a couple months with no posts. That doesn’t mean I haven’t been working on stuff. But I have slowed down just a bit. 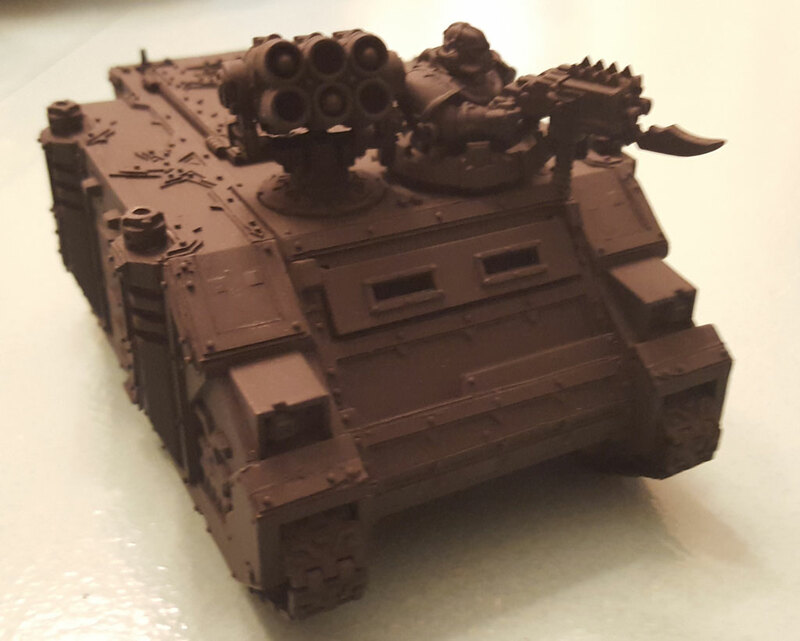 I am working on a couple different projects, one of which is a Rhino for my Khorne Daemonkin. 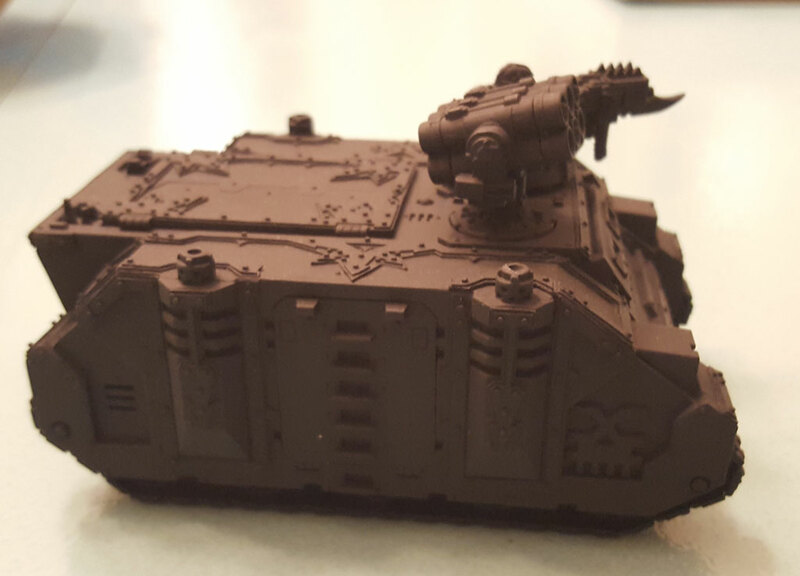 I’ve decided to stop using my Black Legion Rhino for my Daemonkin army and paint one up in Khornate colors. As you can see, I’ve put the model together an primed it. At first glance, it probably doesn’t look like much. But look closer. See the trim? Yeah, it’s pretty awesome. 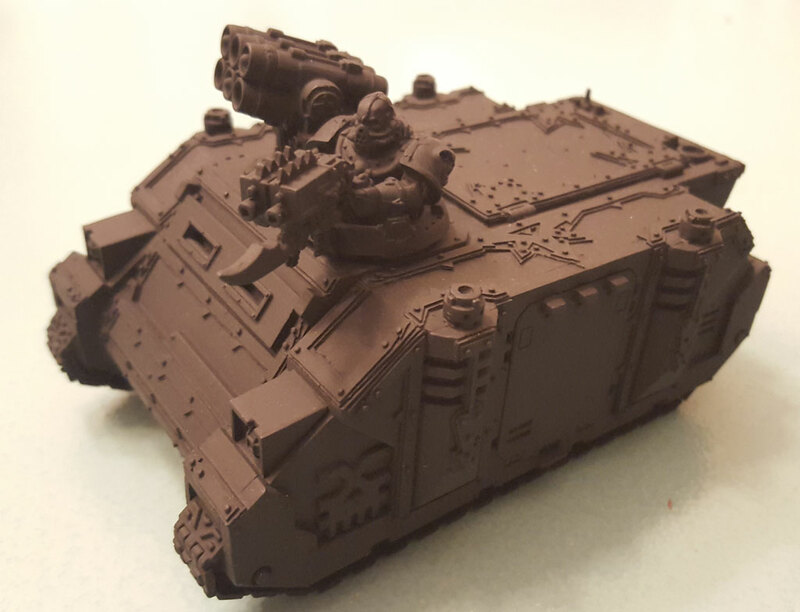 I ordered a couple Chaos Rhino trim kits from The Dark Works in the fall, and decided to use one on the Khornate Rhino. This kit is the “Mk. II” set. I think the extra gold trim will really make the model pop, looking much better than the otherwise mundane red. The trim kit itself was pretty awesome. The only complaint I have, is that there were no instructions. And while it wasn’t too hard to puzzle out what piece went where, some sort of guide would have made the process of putting everything on quicker. Also, tweezers help a lot when you are gluing these down. One other thing you have to keep in mind is that these trim kits have to be put on at the same time the model is assembled. There really is no way to put them on after you finish the paint job, because a couple of the Rhino pieces have to be put in different locations, as you can see in the pictures. Unfortunately, the trim kits are out of stock, so you can’t order them now. I’m glad I also ordered the Mk. I set at the time. The shop is supposed to restock in the next month or so. 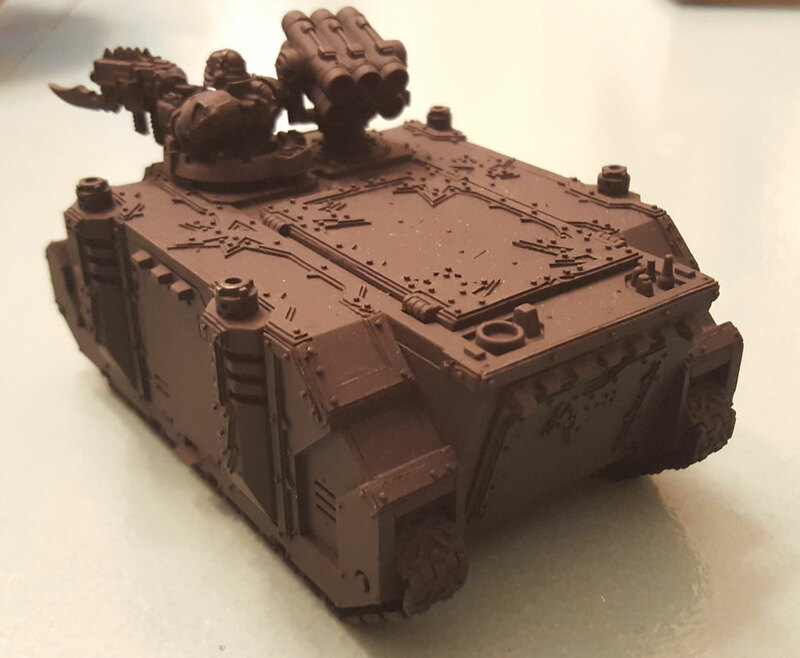 When it does, I highly recommend getting one of their trim kits if you run any of the Chaos tanks. I hope to have some painting stage pictures up here in a few days. Check back, and as always, thanks for looking.